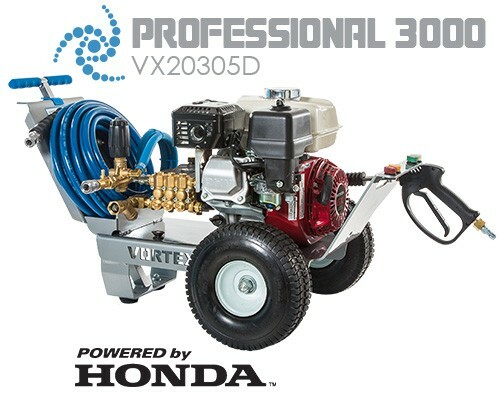 When you grab a hold of our Patent Pending Tow & Stow Handle™, feel our Professional Grade COOLFLO™ Pump Protection, see the first-class welding, or step into one of our over 600 dealer stores – it will become clear how our extra effort translates into product innovations that make Vortexx Pressure Washers simply better by design. Functionality, performance, and durability are our main focus. 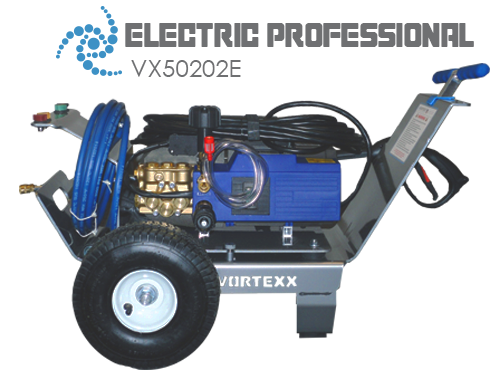 While we like think our pressure washers are the best looking – our design philosophy goes beyond the surface. 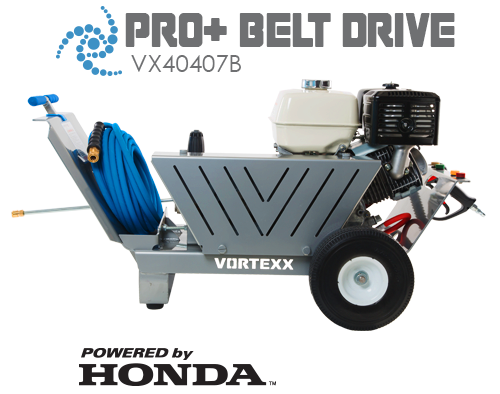 The Vortexx advantage starts with our evolutionary patented carts and finishes with top shelf components. 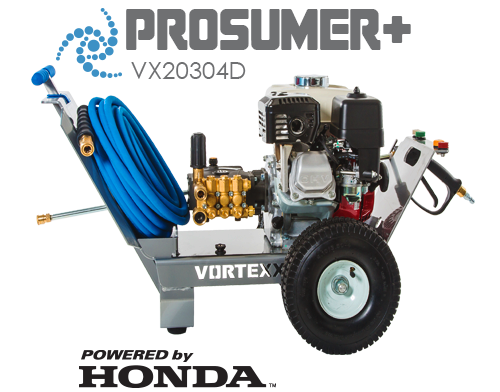 We even take our packaging seriously, so you’ll feel the Vortexx advantage the second your Vortexx Pressure Washer arrives. 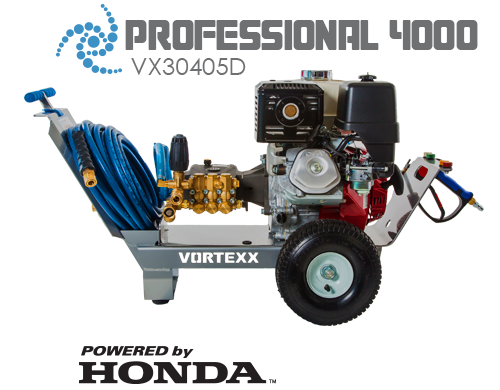 We’ve partnered with Honda Engines and AR Pumps North America, both leaders in their industry, and utilized their expertise to optimize our designs for the best pressure washer performance possible – including our exclusive Cool Flo Pump Protection system. 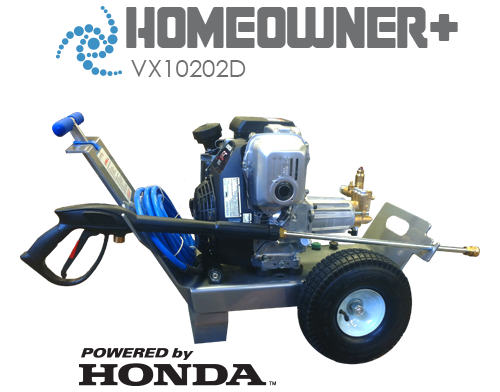 Have you ever hit your heels, pulled a back muscle, or run over the high pressure hose while wheeling your pressure washer around? You are not alone! 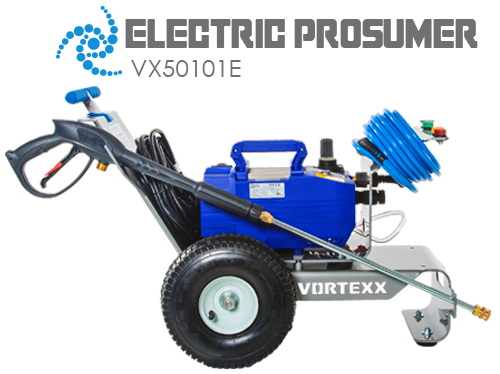 Each Vortexx Pressure Washer is equipped with a patented Tow and Stow Handle™ which extends without fuss and allows for users of any size to walk without banging their heels. When you’re done, it simply drops back into place so the light and compact aluminum frame can be lifted and stored in tight places, like the trunk of a small car. The integrated wand holder and storage baffles make sure things stay put. Meanwhile, the rugged u-shape design defends all of Vortexx’s vital parts against even the roughest of user and rouge objects in the back of your truck. Power under pressure! The marriage of engine and pump is the key to performance. 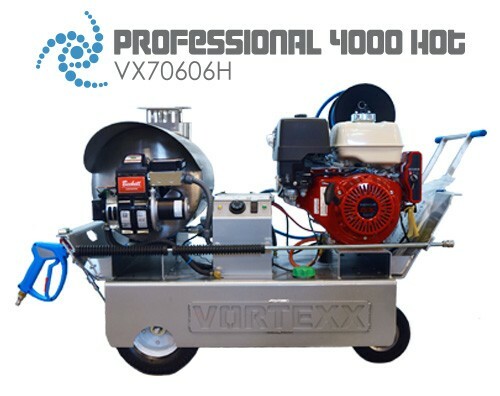 Vortexx didn’t have to look far to determine our short list of partners for our commercial grade machines. 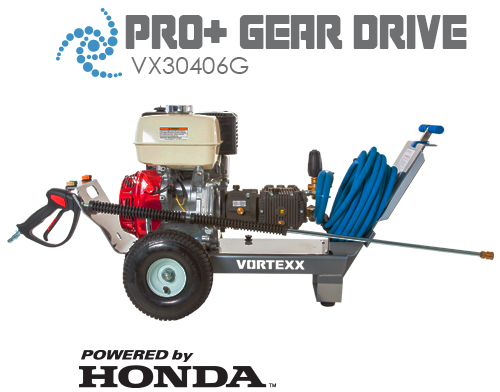 For all of the obvious reasons, you won’t find anything other than Honda Engines powering our products, and we’ve partnered with long time pump experts at AR North American to maximize pressure and flow. Speaking of flow, have we mentioned our exclusive COOLFLO™ Pump Protection system? COOLFLO™ is our process to do the opposite of cutting corners; we actually build our pumps up to avoid common problems that plague pressure washer pumps. Starting with high quality AR Pumps, we add commercial grade fittings, filters, and connections – and that’s just to start. We also use oversized external unloaders which protect against pump shock, and can be serviced without taking the head of the pump apart. Finally, we add a 3 foot bypass hose that serves as a radiator to protect your pump against temperature fluctuations that can affect the life span of a pump. All because we know the most vital part of performance is reliability. 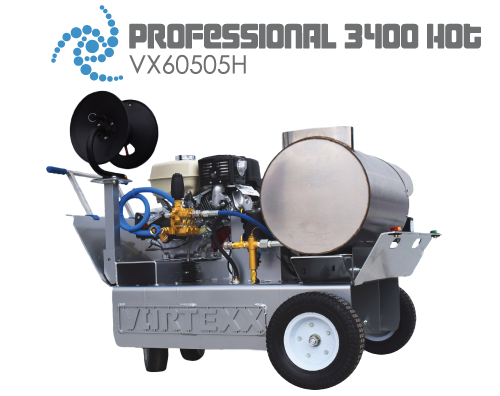 Vortexx Pressure Washers start with a precision water jet cut, aircraft grade, 5052 aluminum frame. Our one piece welded construction means you get a light weight and rust free machine with no bolts to rattle loose – it also means no assembly required! We go the extra mile to powder coat and clear coat every unit to avoid corrosion and discoloration from chemicals. 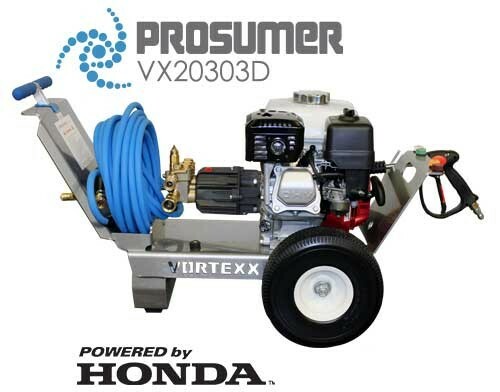 So not only will your Vortexx Pressure Washer work great, but it will look great for years to come. We’re so confident in our process, that we offer a lifetime warranty on our frames. We start, pressure check, and test every unit by hand before it goes into the box. Prior to testing, we load each engine with premium grade Opti-4 Oil, which allows us to double the engine warranty on all of our units when Opti-4 is used. We also provide a 13-point signed checklist with every unit for additional peace of mind.